Loveland Wall Tile - Call Today To Request Your Free Design Consultation! | Mountain Valley Floors, Inc. 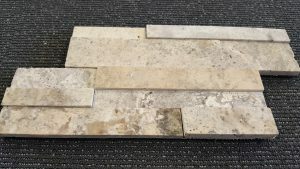 If you are a Northern Colorado resident who is looking for an affordable and attractive way to add some character the walls in your home, tile is a durable option that never goes out of style. In fact, there are virtually endless possibilities when it comes to incorporating this functional wall covering in your home. To learn more about wall tile products and installation, call our team at (970) 364-2936 today! When you think about tile walls, you may think about the shower walls in your bathroom. Tile is a natural choice for such a high-moisture area, but it is versatile enough to add beauty and elegance to other areas of your home as well. In the kitchen and laundry room, wall tiles create a functional backsplash to protect the drywall from water damage. In entryways and rooms with vaulted ceilings, tile wall installations can create a dramatic focal point that is sure to be a topic of conversation amongst guests for years to come. Wondering if we carry a specific type of tile? Because we partner with several of the industry’s top tile vendors, we likely have it in stock. If for some reason we don’t, we’ll work with you to find a comparable style of tile. Why Choose Tile for Walls? Durability. Tile is naturally durable, making it an ideal wall covering choice in busy spaces. Versatility. Design options are virtually endless with the wide variety of colors, styles, and materials to choose from. Affordability. Tile costs very little per square foot and will retain its beauty longer than other wall coverings, like paint and wallpaper. Low maintenance. Tile is incredibly easy to clean and is resistant to dirt, bacteria, mold, and staining. As you can see, there are many reasons to choose tile for the walls in your home — not only is it functional, but it also adds an element of style that compliments any space. If you’re ready to get started on your new wall tile project, contact the team at Mountain Valley Floors today. We’d love to speak with you about your material and design preferences to create the room you’ve been dreaming of. We look forward to speaking with you!